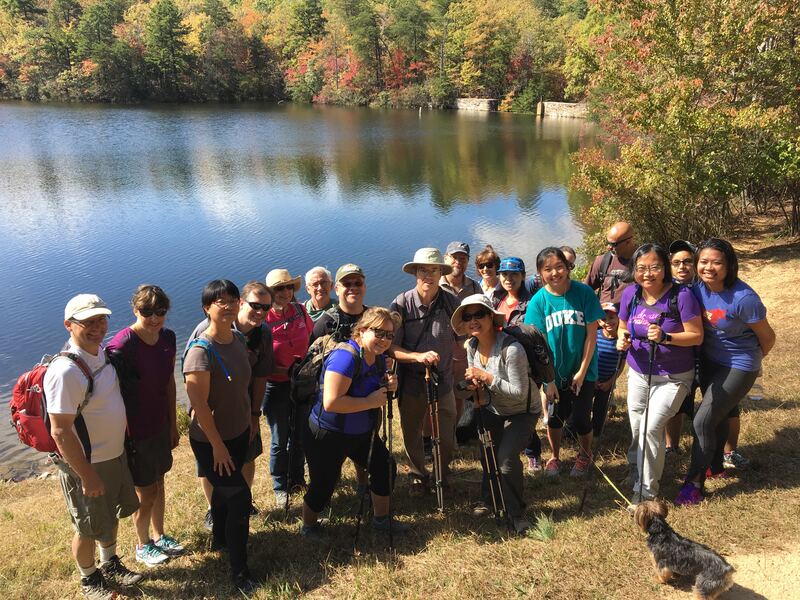 Turn your adventure dream into reality - GetGoing NC! What do we love most about what we do with the GetHiking! program? Help people fulfill their dreams. Using the skills developed through the GetHiking! GetBackpacking! and GetOriented! programs, folks accomplish any number of goals. For instance, ascending one of the revered Seven Summits. When Julie Steiner was a kid, she watched nature shows to feed her adventurous spirit. As kids, our worlds are defined by how far we can pedal a bike — anything beyond that seems strange and exotic. One such exotic image took hold of Julie: the summit of Mount Kilimanjaro, at 19,341 feet the highest point on the African continent. As Julie grew up, her wanderlust took her to a variety of spots across the globe. In the fall of 2016, as she was contemplating her big adventure for the coming year, she says, she began “craving a physical challenge — something significant that would give me a goal to work toward over the course of a year.” The alluring image of Kilimanjaro resurfaced from childhood. She had a goal. Now she needed a plan. “To prepare, I stepped up my gym routine and joined GetHiking! and other local hiking groups,” says Julie. She enrolled in the February 2017 GetBackpacking! Intro to Backpacking class and took the graduation trip in March to South Mountains State Park. 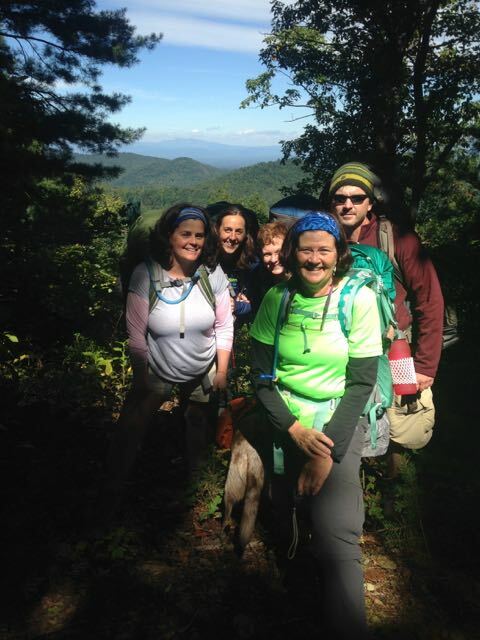 She bolstered her experience by returning to South Mountains with a GetBackpacking! group in June. “I hiked in North Carolina on a regular basis over the course of a year, and did a few multi-day backpacking trips to test out my gear and get a sense of what the long and strenuous days on Mount Kilimanjaro might be like,” says Julie. One of the best things to do when preparing for an epic adventure is to test yourself under conditions similar to your goal. Since there aren’t any 19,000-foot mountains in the area, the next best thing is to find a solid challenge — one that tests mind and body, as well as your overall resolve. Challenges we have in abundance in the Southeast. In August, Julie signed up for our GetBackpacking! 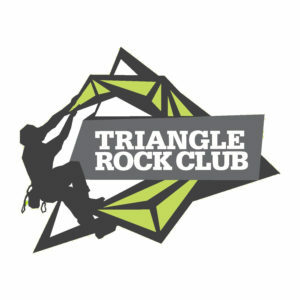 Intermediate Skills course in Linville Gorge. Designed mainly as an opportunity to work on water crossings and navigate a wilderness area, the 21-mile, three-day trip called upon a range of backcountry skills. During its 12-mile run through the gorge, the Linville River drops 2,000 vertical feet, and the rim of the gorge rises as much as 1,400 feet above the floor in spots. Because it is a wilderness, there is very little trail markings and very little trail maintenance. Linville is as wild as it gets in the Southeast. And it’s a good test. For Julie, the Linville Gorge trip was something of a midterm in her quest toward Kilimanjaro. The good thing about midterms is that you don’t need to pass them to ace the final. Julie was hamstrung by dehydration on Day 1 and, distracted by that, failed to realize that the boots she’d been struggling with the past few months were causing some debilitating blisters. By noon on Day 2, it was near impossible for her to walk. She was forced to abandon. A month and a half later, Julie—in new boots—was standing atop the mountain she’d been mesmerized by as a child. 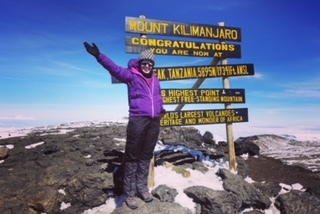 This was about the time last year when Julie began working in earnest on her goal of summiting Mount Kilimanjaro. Start now and maybe you, too, can realize one of your epic dreams by this time next year. Boost your inspiration by listening to Julie talk about her adventure on Wednesday, Jan. 24, at 7 p.m. at the Great Outdoor Provision Co. in Chapel Hill. More info here. For more information on our GetBackpacking! program, go here. For information on specific GetBackpacking! Intro to Backpacking classes go to either GetHiking! Triangle or GetHiking! Triad. Our GetHiking! 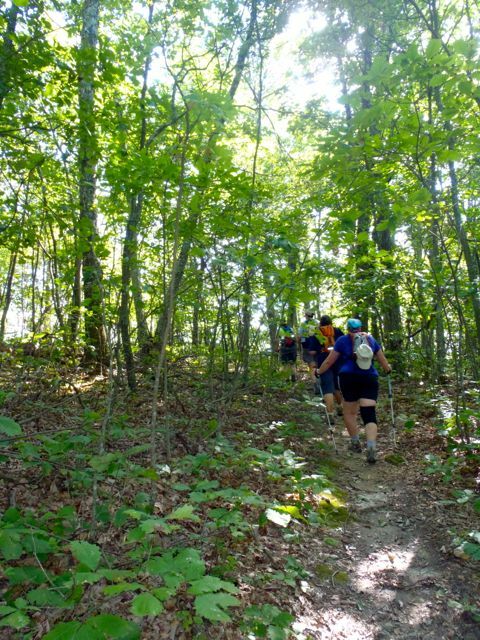 hikes in North Carolina and Virginia expose you to a variety of hiking experiences. Find a hike near you, here. If you’re in the Triad area, swing by the new Great Outdoor Provision Co. store in Greensboro’s The Westover Gallery of Shops on Feb. 15 at 7 p.m. for an evening of beer and backpacking. We’ll talk about our programs and about backpacking in the Southeast.